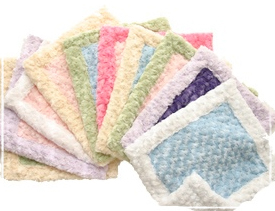 Our soft Cozy Faux Loveys are also a must-have for babies and make perfect shower gifts. With 10 different color combinations to choose from, you are sure to find one to match any baby's room. Loveys are 16" x 18".